Despite substantial investments made over the past 40 years in low income countries, governments cannot be viewed as the principal health care provider in many countries. Evidence on the role of the private sector in the delivery of health services is becoming increasingly available. In this study, we set out to determine the extent to which the private sector has been utilized in providing integrated care for sick children under 5 years of age with community–acquired malaria, pneumonia or diarrhoea. We reviewed the published literature for integrated community case management (iCCM) related experiences within both the public and private sector. We searched PubMed and Google/Google Scholar for all relevant literature until July 2014. The search terms used were “malaria”, “pneumonia”, “diarrhoea”, “private sector” and “community case management”. A total of 383 articles referred to malaria, pneumonia or diarrhoea in the private sector. The large majority of these studies (290) were only malaria related. Most of the iCCM–related studies evaluated introduction of only malaria drugs and/or diagnostics into the private sector. Only one study evaluated the introduction of drugs and diagnostics for malaria, pneumonia and diarrhoea in the private sector. In contrast, most iCCM–related studies in the public sector directly reported on community case management of 2 or more of the illnesses. While the private sector is an important source of care for children in low income countries, little has been done to harness the potential of this sector in improving access to care for non–malaria–associated fever in children within the community. It would be logical for iCCM programs to expand their activities to include the private sector to achieve higher population coverage. An implementation research agenda for private sector integrated care of febrile childhood illness needs to be developed and implemented in conjunction with private sector intervention programs. Despite substantial investments made over the past 40 years in low income countries, governments cannot be viewed as the principal health care provider in many countries . Evidence on the role of the private sector in the delivery of health services is becoming more available [2,3]. Integrated community case management (iCCM) of malaria, pneumonia and diarrhoea is a public sector strategy aimed at improving timely access to treatment for sick children in resource limited settings . It is now being scaled up across the African continent, largely by means of community health workers. However, in many low income countries, the first source of care for most children with fever is usually the private sector, mainly comprising of small drug shops which sell medicines as a business [5-8]. The quality of care provided at this level is also known to be low [7,9]. We set out to determine the extent to which the private sector has been utilized in providing integrated care for sick children under–5 years of age with community–acquired malaria, pneumonia or diarrhoea. In the first step, we screened the titles of all the articles retrieved from both searches. The abstracts of the titles that included malaria, pneumonia or diarrhoea in the public or private sector were then selected and read. Finally, for articles where abstracts reported results from evaluation studies that met our inclusion criteria, we read through the full text to confirm this. Wherever clarification was needed, we re–read through the full text of the relevant articles. We included all peer–reviewed studies reporting the evaluation of any intervention with drugs and or diagnostics for malaria, pneumonia or diarrhoea, or a combination of those illnesses in children within the private or public sector. We included the following types of studies: randomized controlled trials, quasi experimental studies, and studies with a pre–post design with or without a control group. We also accessed grey literature by searching websites of organizations involved in private sector work. The number and characteristics of studies in both private and public sector, reporting iCCM–related interventions either separately or in an integrated manner, are reported. A total of 944 papers were found by searching the databases. These included 385 private sector and 559 public sector papers. An additional 2 papers were included from the grey literature. After screening, 13 private sector and 49 public sector papers remained for final analysis ( Figure 1 ). The final papers included were from studies conducted in 20 countries: 44 in Africa, 16 in Asia and 2 in Latin America. Most studies were conducted in rural settings. Figure 1. Flow diagram of literature search and screening. We found 385 articles referring to malaria, pneumonia or diarrhoea in the private sector. The majority of these studies (290) were only malaria related. Thirteen studies met the inclusion criteria ( Table 1 ) and most of them (86%) evaluated only introduction of malaria drugs and/or diagnostics into the private sector [11-21]. There were no articles reporting community level interventions for pneumonia treatment or diagnosis within the private sector. Only one study evaluated a diarrhoea treatment intervention, using both private and public sector . Moreover, there were limited iCCM–related experiences in the private sector within the published literature, where diagnosis of non–malaria fever was made and alternative treatment provided to sick children. We are aware of one study introducing diagnostics and pre–packaged drugs for malaria, pneumonia and diarrhoea into private sector drug shops . Population Services International (PSI) is implementing iCCM in several countries  and Larsen et al. (in preparation) will report on improving quality of private sector case management of diarrhoea, pneumonia and malaria in Uganda using a Social Franchising approach. In contrast, of 559 articles retrieved when we searched for iCCM–related experiences in the public sector, the majority were directly related to CCM of 2 or more illnesses (malaria, pneumonia and diarrhoea). Forty nine articles met the inclusion criteria of studies evaluating an intervention with drugs or diagnostics in the community, for malaria, pneumonia or diarrhoea. Only 13 (26%) of the included studies on iCCM in the public sector evaluated an intervention for malaria only ( Table 2 ). Bang et al. 1993  Pneumonia in neonates: can it be managed in the community? Diarrhoea and Pneumonia Puett et al. 2012  Does greater workload lead to reduced quality of preventive and curative care among community health workers in Bangladesh? Experiences with integrated community case management of malaria, pneumonia and diarrhoea by means of public sector community health workers is increasingly reflected in the literature. Meanwhile, interventions in the private sector have so far targeted largely malaria diagnosis and management. The community case management experience using community health workers in Africa was initiated by the Home Management of Malaria experience . However, challenged by symptom overlap with other febrile illness  and spurred by the largely Asian success in community management of pneumonia , it then followed the example of integrated care in health facilities under IMCI to also become integrated in the community . Meanwhile, interventions in the private sector have focused on malaria alone. This follows the historical pattern of Home Management of Malaria, and the hitherto sole malaria focus of major funders and initiatives such as the Global Fund’s Affordable Medicine Facility malaria (AMFm) . From a point of quality of care to the individual sick child, as well as to make drug use more rational, it seems logical to integrate service delivery for acute febrile illness for the main causes of fever to provide alternative appropriate treatment where malaria diagnostics are negative. Here, the iCCM strategy is one vehicle. The current Global Fund application round has not quite reached integrated care of febrile illness, but it opens the door to integration with other funders towards integrated management. In March 2014, a joint statement was signed by UNICEF, Global Fund and the RMNCH Strategy Coordination Team, expressing an intention to strengthen coordination around the implementation and financing of the integration agenda, with a focus on iCCM. However, there have been many efforts to improve quality of care in the private sector. Shah et al. reviewed the experience with different interventions, finding limited effect of the most widely used intervention model –training – suggesting to include also incentives and accountability . Social franchising allows a network of independently operated health outlets to provide services and commodities to clients with oversight by a coordinating agency . It provides business incentive for the health outlets and increases accountability , but further research is needed on the effect of social franchising on quality of care . Meanwhile, the equity aspects of private sector interventions need to be clarified . Also, private providers become quite context specific, requiring context–relevant interventions . This implies need for further research on iCCM in private sector, and the utility of iCCM in private sector interventions, within a context of implementation research in conjunction with programs in different setting [24,81], along the lines of WHOs on–going RaCE evaluation of community health worker iCCM implementation . A possible limitation of this review is that even though we tried to include all available literature/publications, some literature may not have been accessed, especially the most recent. While the private sector is an important source of care for children in low income countries, little has been done to harness the potential of this sector in improving access to care for non–malaria fever in children within the community. It is important for interventions and research within the private sector to provide integrated care for sick children, and not only focus on care for malaria. The iCCM strategy has the potential to act as a vehicle to improve both quality of care and make drug use more rational in the private sector, provided appropriate modification is done to reflect private sector specificities. It is also logical for iCCM programs to expand their activities to include the private sector to achieve higher population coverage. An implementation research agenda for private sector integrated care of febrile childhood illness needs to be developed and implemented in conjunction with private sector intervention programs. Funding: No funding was directly sought for this review. Disclaimer: The views expressed here are solely of the authors and not their institutions. Authorship contributions: PA, JM, SP designed the study. PA led the review process. PA, SP interpreted the findings. The manuscript was written by PA, and all authors approved the final manuscript. Competing interests: All authors have completed the Unified Competing Interest form atwww.icmje.org/coi_disclosure.pdf (available on request from the corresponding author). We declare that we have no conflicts of interest. Walker D, Champion C, Hossain S, Wahed T, Gazi R, Koehlmoos T, et al. Establishing non–state sector research priorities in developing countries using a participatory methodology. Geneva: Alliance for Health Policy and Systems Research and WHO, 2009. Available at: http://www.who.int/alliance-hpsr/projects/alliancehpsr-nonstatepaper.pdf. Accessed: 1 October 2014. P Awor H Wamani T Tyyleskar G Jagoe S Peterson Increased access to care and appropriateness of treatment at private sector drug shops with integrated management of malaria, pneumonia and diarrhoea: a quasi–experimental study in Uganda.PLoS ONE. 2014, in press. Population Services International. Integrated case management. 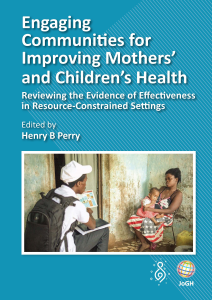 Available from: http://www.psi.org/our–work/healthy–lives/interventions/ccmimpact–program. Accessed: 27 August 2014. UNITAID. Innovative financing to shape markets for HIV/AIDS, malaria and tuberculosis. 2013. Available at: http://www.unitaid.eu/en/creating–a–private–sector–market–for–quality–assured–rdts–in–malaria–endemic–countries. Accessed: 1 November 2014. World Health Organisation. Rapid Access Expansion 2015 programme (RAcE 2015) 2014. 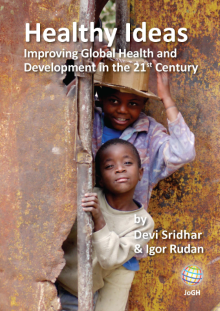 Available at: http://www.who.int/malaria/areas/rapid_access_expansion_2015/en/. Accessed: 24 August 2014.